For the first time in months, I feel the market is unclear at the moment. The past few months have really been pretty easy -- every day we've looked at the market and determined that it was "still pointed higher," even for the near-term, but today's outcome is rather clouded. If bulls can power back over the all-time high and maintain trade north of that level, then that could put them in the clear (again) for the near-term, but there is the potential of a completed higher-degree waveform, something we haven't seen in a while. A complete higher-degree waveform, if that's what this is, would imply that a larger correction is due. 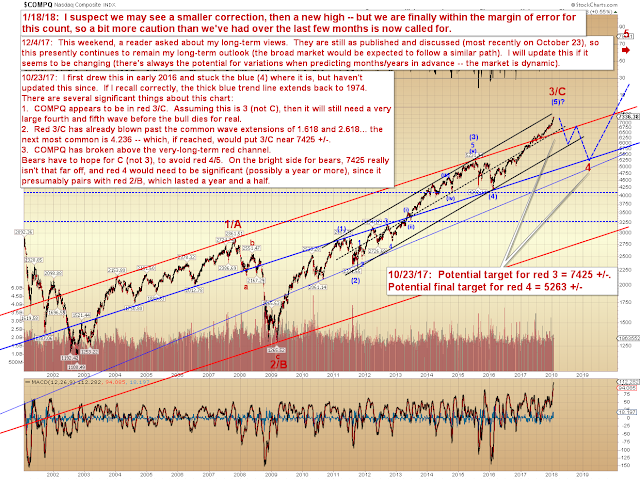 How much larger will have to be determined based on the length of the first impulsive decline (if we get one!). 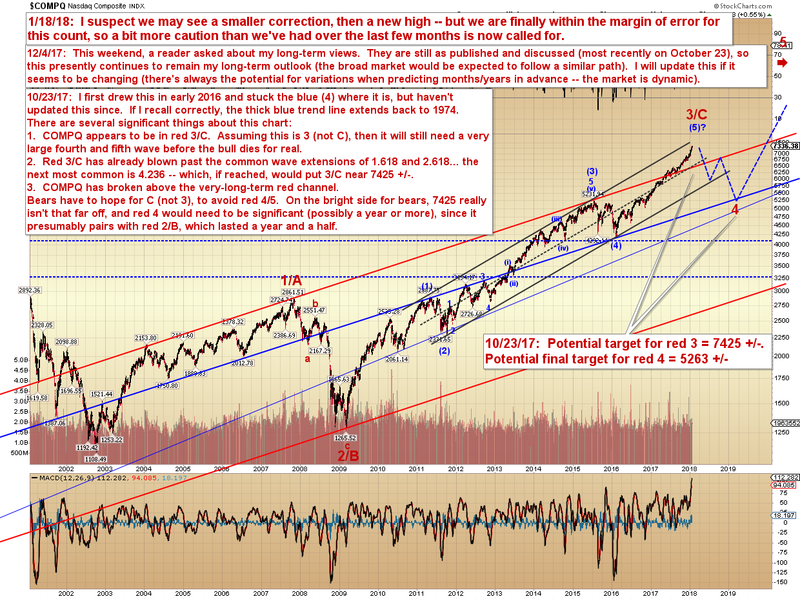 It's again worth mentioning that COMPQ has reached a significant large degree inflection point. Though I'm not ready to say "that's it!" for the rally, the possibility is there. 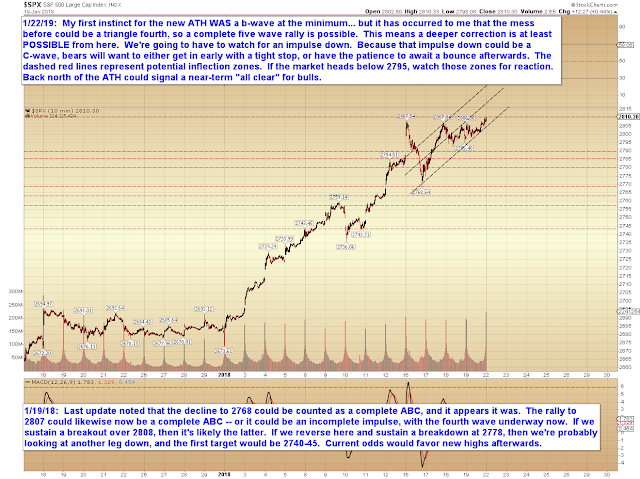 Take the chart below with a grain of salt for the moment, and view it as a "possibility" more than a "prediction." In conclusion, this is the haziest market we've seen in quite a while. 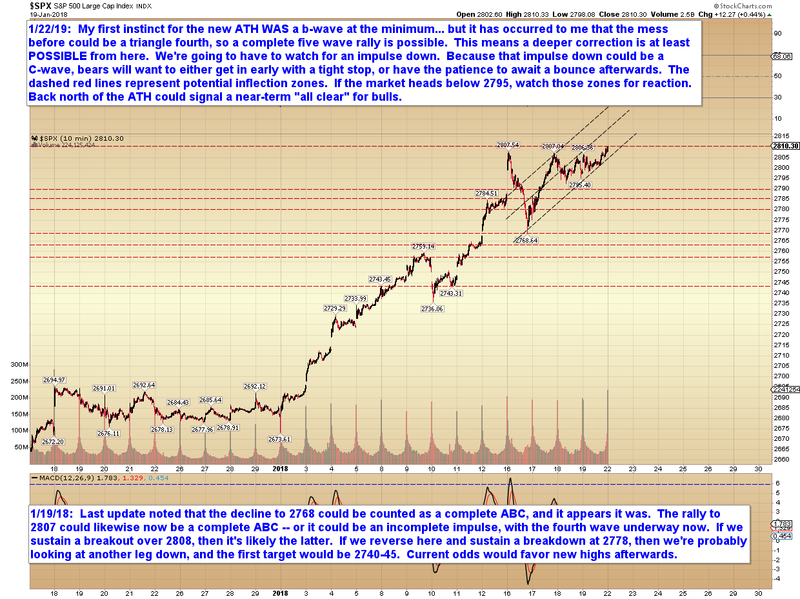 How the next couple of sessions shake out should shed some light on where we're going from here. If we sustain a breakout over the all time high, then the first target is 2819-21 SPX, and the second is 2840-50 SPX. Trade safe.